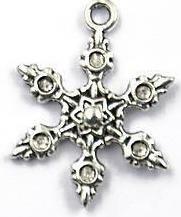 Silver Christmas Flying Reindeer Charm. 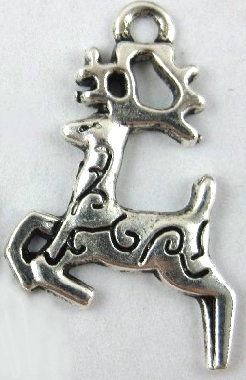 This is a beautiful and danty reindeer charm that will be flying off of your artwork this year. This charm has curls and swirls on the front and is somewhat flat on the back. This reindeer charm measures almost 1 in. from top to bottom and 5/8 in. across, and only 1/8 inches thick. Get them while there hot! You will receive one charm with each quantity that you order.